Adriana sectional sofa in white color full Italian leather upholstery. Made by J&M Furniture who specializes making high quality products at affordable prices. Also available in red and black colors with stainless steel frame at the bottom. 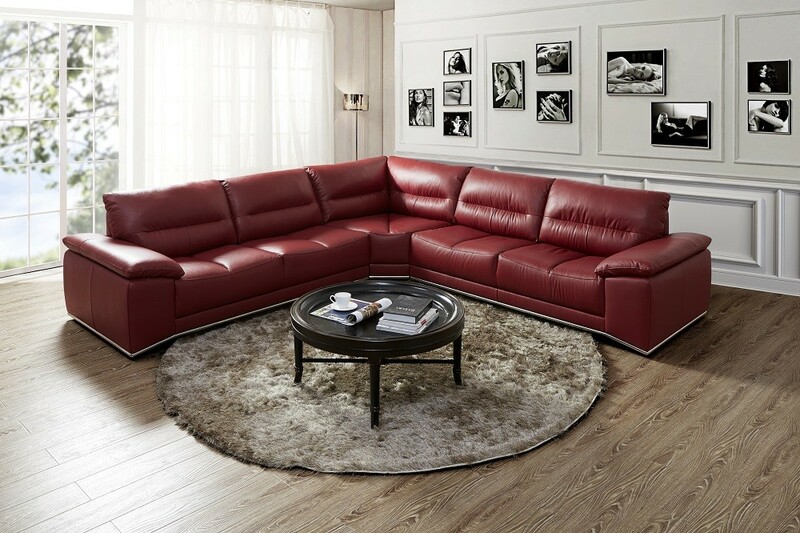 Large three piece sectional includes six adjustable headrests for additional support.